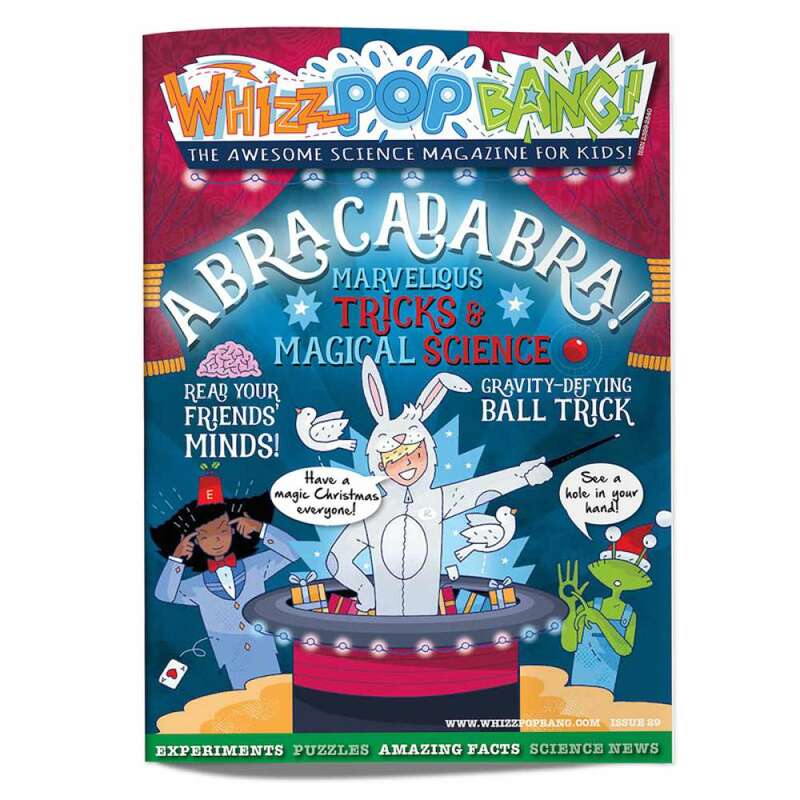 There’s magic in the air here at Whizz Pop Bang... Our Abracadabra edition is jam-packed full of awesome magic tricks (all with scientific explanations, naturally!) 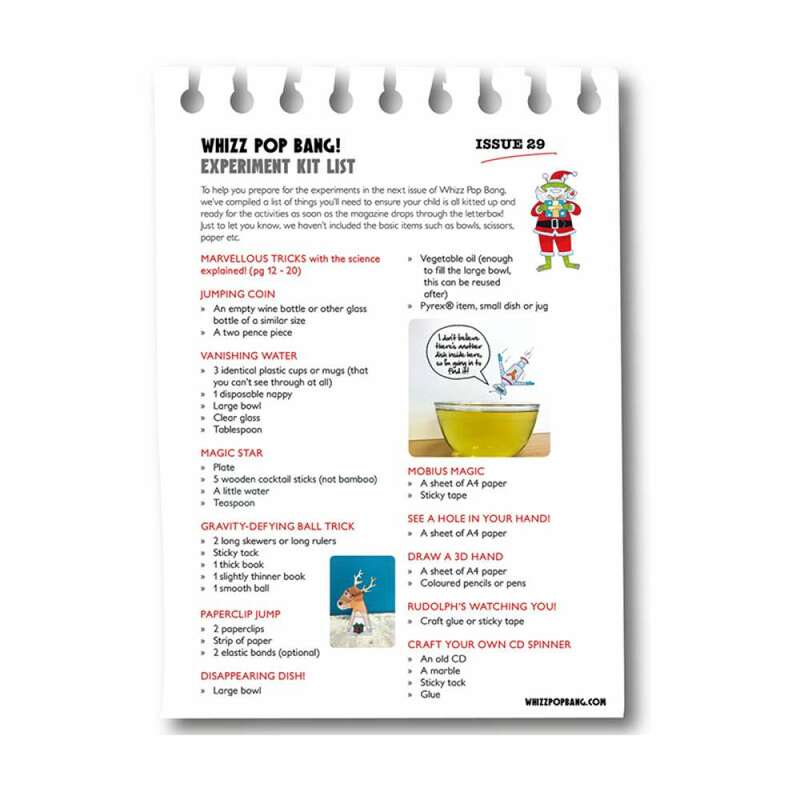 – perfect for kids to wow their friends and family over the holidays. You can conjure up a reindeer with a mysterious moving head, make a dish disappear, cut out a spinner that will make your skin crawl, make a ball appear to roll uphill and many, many more astounding tricks. 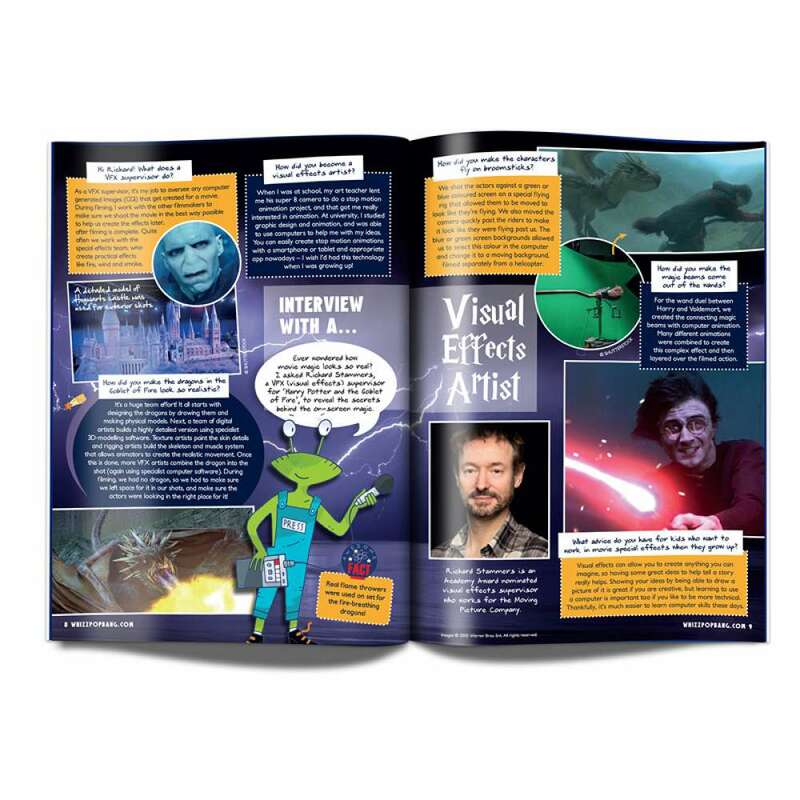 You can also meet 10 Awesomely Amazing animal magicians, read about the very crazy Ig® Nobel prizes and meet the creator of some of Harry Potter’s mystical visual effects.